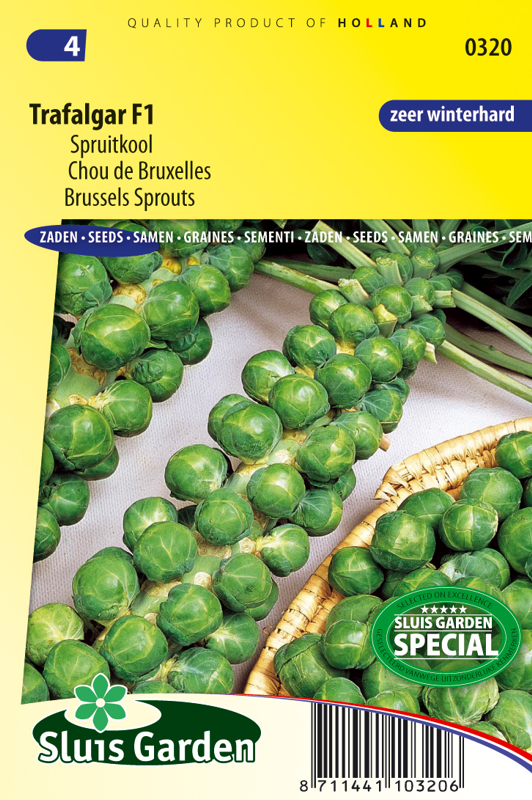 One of the most child-friendly Brussels sprouts! 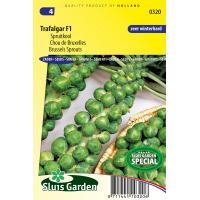 The medium-sized spouts have a mild flavour, are nice and sweet but have a sufficiently distinctive sprout flavour. Start to harvest the sprouts from the bottom of the stem. Suitable for all types of soil. Best not to fertilize too much. Fertilizers too rich in nitrogen result in less compact sprouts. Sow in a greenhouse or in the garden in seedbeds, then transplant later. Keep soil moist. Use anti-insect nets to protect young plants against cabbage midge. Good sickness resistance.